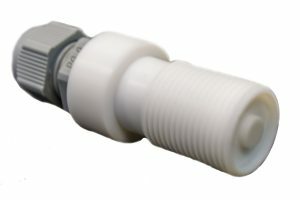 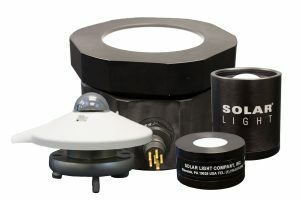 Solar Light’s Model UW254 Underwater Germicidal Lamp Monitor is specifically designed to continuously monitor UV intensity from UVC lamps in waste water treatment plants. 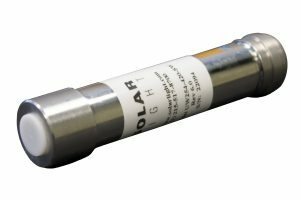 The sensor provides an indication of the effectiveness of the lamps as they age because it is sensitive to the sterilizing UVC wavelengths of mercury lamps at 253.7nm. 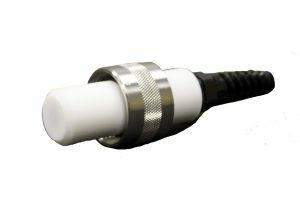 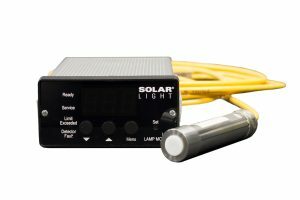 The sensor reliably interfaces with the Solar Light GLM100 germicidal lamp monitor, or your choice of monitor or data acquisition equipment. 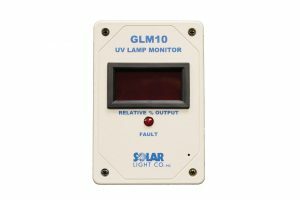 Solar Light’s GLM10 Germicidal Lamp Monitor is specifically designed to continuously monitor germicidal lamp output in water contact vessels.